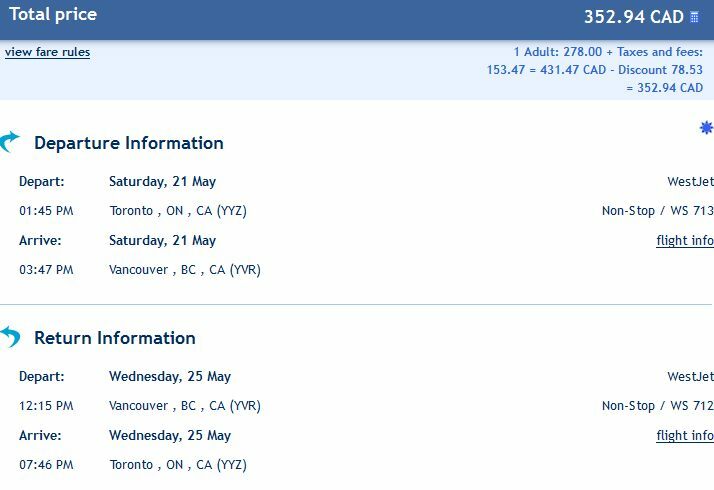 WestJet is showing a few flights from Toronto to Vancouver over the 2016 Victoria Day long weekend for $352 CAD roundtrip including taxes. The flights are non-stop. Look for the flights that are $180 on the way there, and $170 on the way back. June 23, 24, or 25 to June 26 or 27 flights are also currently $352. The prices will go up once these seats sell out. 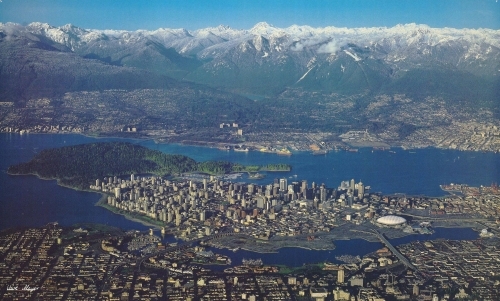 4 Responses to "Toronto to Vancouver over the 2016 Victoria Day long weekend - $352 CAD roundtrip including taxes"
Flights prices has gone up to 290 each way (app) for May and June. The code and the coupon did not work. It said that it was not for the dates selected. I think it's safe to say that this deal is over. The coupon did not work.